Of the symmetries of spacetime, several of them are arguably not so reasonable when considering locality. The first is time reversal. That takes time t to −t, and preserves the metric and some of the laws of mechanics. It takes the forward light cone to the backward light cone, and vice versa. But locality is based on causality, and the past causes the future, not the other way around. There is a logical arrow of time from the past to the future. Most scientific phenomena are irreversible. The second dubious symmetry is parity reversal. That is a spatial reflection that reverses right-handedness and left-handedness. Charge conjugation is another dubious symmetry. Most of the laws of electricity will be the same if all positive charges are changed to negative, and all negative to positive. Curiously, if you combine all three of the above symmetries, you get the CPT symmetry, and it is believed to be a true symmetry of nature. Under some very general assumptions, a quantum field theory with a local Lorentz symmetry must also have a CPT symmetry. The final dubious symmetry is the rotation by 360°. It is a surprising mathematical fact that a rotation thru 720° is homotopic to the identity, but a rotation thru 360° is not. You can see this yourself by twisting your belt. Thus the safest symmetry group to use for spacetime is not the Lorentz group, but the double cover of the connected component of the Lorentz group. That is, the spatial reflections and time reversals are excluded, and a rotation by x° is distinguished from a rotation by x+360°. This is called the spin group. Geometric theories on spacetime are formulated in terms of vectors and tensors. Vectors and tensors are covariant, so that they automatically transform under a change of coordinates. Alternatively, you can say that spacetime is a geometric coordinate-free manifold with a Lorentz group symmetry, and vectors and tensors are the well-defined on that manifold. If we consider spacetime with a spin group symmetry instead of the Lorentz group, then we get a new class or vector-like functions called spinors. Physicists sometimes think of a spinor as a square root of a vector, as you can multiply two spinors and get a vector. The basic ingredients for a theory satisfying the geometry and locality axioms are thus: a spacetime manifold, a spin group structure on the tangent bundle, a separate fiber bundle, and connections on those bundles. The fields and other physical variables will be spinors and sections. This is the essence of the Standard Model. 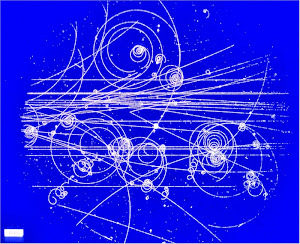 Quarks, electrons, and neutrinos are all spinor fields. They have spin 1/2, which means they have 720° rotational symmetry, and not a 360° rotation symmetry. Such particles are also called fermions. The neutrinos are left-handed, meaning they have no spatial reflection symmetry. The Lagrangian defining the theory is covariant under the spin group, and hence well-defined on spacetime. Under quantum mechanics, all particles with the same quantum numbers are identical, and a permutation of those identical particles is a symmetry of the system. 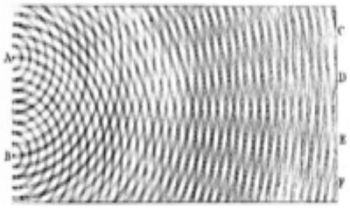 Swapping two identical fermions introduces a factor of −1, just like rotating by 360°. That is what separates identical fermions, and keeps them from occupying the same state. This is called the Pauli exclusion principle, and it is the fundamental reason why fermions can be the building blocks of matter, and form stable objects. Pauli exclusion for fermions is a mathematical consequence of having a Lorentz invariant quantum field theory. All particles are either fermions or bosons. The photon is a boson, and has spin 1. A laser can have millions of photons in the same state, and they cannot be used to build a material substance. The point here is that under general axioms of geometry and locality, one can plausibly deduce that spinor and gauge theories are the obvious candidates for fundamental physical theories. The Standard Model then seems pretty reasonable, and is actually rather simple and elegant compared to the alternatives. In my counterfactual anti-positivist history of physics, it seems possible that someone could have derived models similar to the Standard Model from purely abstract principles, and some modern mathematics, but with no experiments. I love the belt trick but my gut feeling is that too much cleverness can lead you down totally false avenues. Cleverness is not intelligence and defining "states" presupposes certain arrangements of the world. You only measure what you are looking for... Sometimes we are just dramatically wrong. Someone could have derived models similar to Relativity from purely abstract principles, and some modern mathematics, but with no experiments. But they didn't. Someone could have derived models similar to quantum mechanics from purely abstract principles, and some modern mathematics, but with no experiments. But they didn't. Someone could have derived models similar to the Second Law of Thermodynamics from purely abstract principles, and some modern mathematics, but with no experiments. But they didn't. Someone could have derived models similar to Maxwell's Equations from purely abstract principles, and some modern mathematics, but with no experiments. But they didn't. Someone could have derived Newton's Laws of Motion and Gravitation from purely abstract principles, and some modern mathematics, but with no experiments. But they didn't. The same goes for monday morning quarterbacks who champion the arbitrary axioms of "set" theory. But here is the problem, I can't even integrate a function like 1/(2^x + x). Abstract models are just toy imitation machines. Hardly any truth to discover. Banach-Tarski? "Consider the scenario imagined by al-Ghazali of our solar system’s existing from eternity past, with the orbital periods of the planets being so co-ordinated that for every one orbit which Saturn completes Jupiter completes 2.5 times as many. If they have been orbiting from eternity, which planet has completed the most orbits? The correct mathematical answer is that they have completed precisely the same number of orbits. But this seems absurd. Think about it: the longer Jupiter and Saturn revolve, the greater becomes the disparity between them, so that they progressively approach a limit at which Jupiter has fallen infinitely far behind Saturn. Yet, being now actually infinite, the number of their respective completed orbits is somehow magically identical." In fact, Zeno's paradox was never really resolved by mathematics. The calculus response totally misses the point and the meeting point can be solved with basic finite algebra. It explains NOTHING about reality. Continuity in math means extreme ("infinite") discreteness and "wholes" are banished. Cauchy sequences can differ by a "finite" number of terms so aren't really unique and then their nonsensical diagonalization can lead to outright logical absurdities. Ill-defined universal quantification and impredicative mappings lead to total nonsense but mathematicians even ignore self-consistency. Math just isn't reality. Not by a long shot. It's not even logical. "In my counterfactual anti-positivist history of physics, it seems possible that someone could have derived models similar to the Standard Model from purely abstract principles, and some modern mathematics, but with no experiments." To quote Harold Bloom, the daemon knows... Your whole generation is third-eye blind and it's quite embarrassing to see these poorly read nerds make such a mess with their limited intellects. An orange swan Ronald McDonald just met with 007 but they can't read a thing. As Patrick McGoohan said "be seeing you." What I love about Zeno's paradox is how it is so badly misused and misunderstood. It is simply a blunt teaching exercise of what happens when you follow false premises to a logical conclusion, you get nonsense, in other words, GIGO. In Zeno's paradox, you are provided contradictory information as givens, which are basically your premises. If you don't carefully notice that these premises are already inconsistent and in contradiction with one another before your logical conclusion, you are doomed. If I say I can cross half a room, then half of that, please attend that space is already being traversed by the premises themselves. If you can cross half a distance (or any set distance) within a finite amount of time, logically, you can also traverse the other half. Inserting an infinite digression into a finite process has nothing to do with traversing the first half of your distance, and being that your first half of distance is equally infinitely divisible (if you should so desire) and yet somehow you have traversed it, so self evidently it is possible by your own premise. The fly in the ointment comes from dividing up the finite distance infinitely as a required intermediary step in a process that has already been stated to already being possible and has no further merit in the logical consideration of traversable distances. To then turn around and use the absurdity of an infinite series of steps to say traversing a finite distance is finitely impossible because you can 'imagine' you can do infinite steps is ridiculous, and always was, which was the point of the paradox, to teach the importance of rational initial premises to being used for logical consideration, and the avoidance of inserting vague or senseless intermediary diversions which have no bearing on the task at hand. Paradoxes tell us nothing about the universe, they only illustrate the limits and faults of our knowledge and understanding. "To then turn around and use the absurdity of an infinite series of steps to say traversing a finite distance is finitely impossible because you can 'imagine' you can do infinite steps is ridiculous"
ROFL! I agree but it does point out how math tells us nothing about much of the universe. Calculus never "solved" the problem of motion but that is what is claimed. I'm also utterly disgusted by what many scientists and physicists call a 'Prediction'. Pin head#1: I PREDICT that the answer will be 10! someone does the experiment... and the answer is 12. Pin head#1: I have corrected for my slight imprecision by adding 2 to my answer... I am now in agreement with experiment. I predicted the answer would be 12! If you do not predict what happens, and have to keep altering your theory to agree with what actually does, YOU ARE NOT PREDICTING ANYTHING, you are just retro-actively changing your answer after you got it wrong and then claiming you got it right anyway. This has been going on for decades with Big Bang theory, black hole theory, SuperString Theory, Global Cooling (*cough*)Global warming (*cough*) Climate change (cough) the weather just changed theory, and lately, Multiverse apologetics, and next to useless Higgs theory. If anyone seriously believes a particle that exists too briefly to even be detected without a lot of inference based Monte Carlo simulations can provide a consistent mass to particles, I have a bridge to sell you. When you can revise whatever you like every time it doesn't agree with the data or experiment and call it the same theory, it really doesn't mean anything anymore. All revisions to a given theory should be openly displayed as a version number. If your version v1.0 fails, and you change it, you must now call it v1.1, etc, and document the changes, just like good software developers do, making all revisionism open and transparent. What we have presently is akin to pseudo-science whack-a-mole, where theory failure is virtually impossible if continued funding is at stake, and getting the scientists to come clean about it is like nailing jello to the wall. "Most scientific phenomena are irreversible." But one could argue that "most phenomena" are governed by quantum mechanics and those processes are necessarily reversible. Care to revise your assertion?